KAMPALA – Government is going to start declining the issuance of licenses to Telecom companies that have no capacity to serve the whole country with good connectivity. The revelation was made by the Minister of ICT & National Guidance, Frank Tumwebaze while appearing before the Parliamentary Committee of Finance, where he had been summoned to leave queries on the recent ban on airtime scratch cards. The matter followed complaints raised by a section of MPs over the poor network coverage across the country, questioning how Uganda Communications Commission intends to enforce the electronic recharge of airtime yet some Telecoms are yet to stabilise their network coverage across the country. 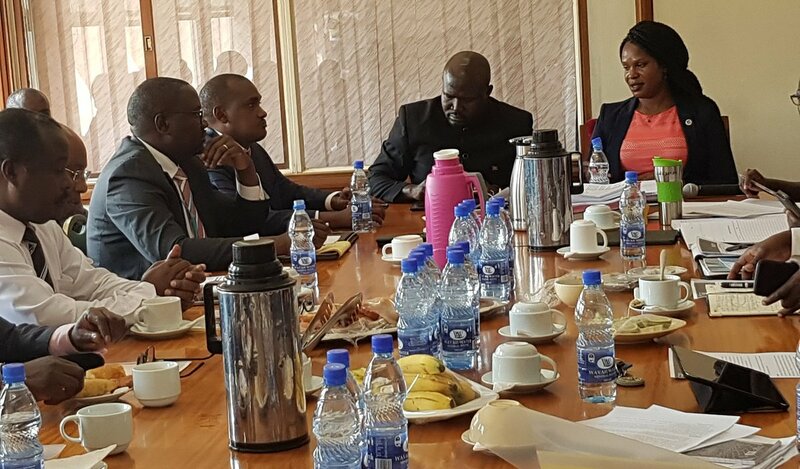 Tumwebaze informed the Committee that Ministry has already drafted a policy that will guide on the upgrade of broadband of network for both rural and urban areas, adding that Telecoms not in the position to serve the entire country will be denied operating license. Among the complaints raised was the failure by UCC to adequately sensitise the public on the need to go digital with airtime and called on the Commission to undertake a countrywide sensitization program with emphasis to be put on all communication having to be in all languages across the country. Committee Vice-Chairperson, Paul Amoru wondered why Uganda is still stuck with over 40% of fake phones and questioned why the Ministry has failed to impose a ban on the importation of fake phones.